Day 1 (Oct. 31) - Left Singapore at 8am for KL by bus. 6 hours travel time but it was the most relaxing bus ride we have ever experienced (http://transtar.travel/olcoachquery.php). How can one not? Lazyboy-like chairs with massage, individual 7.2" LCD TV, free food served by a stewardess, roomy leg room (we were seated at the 1st row of the top deck--just 3 seats per row), and very smooth ride. Enjoyed the country scene for a few hours before going to snooze land. We stopped at the Immigration area upon entering Malaysia for a short stop to register, then off we went for a non-stop trip. Arrived KL late afternoon. After check-in, proceeded to tour KL Tower for a 360-degree view of Kuala Lumpur, Petronas Tower for photo ops, window shopping and dinner at Suria KLCC. Day 2 (Nov 1) - City Tour before proceeding to Sunway Lagoon to spend the rest of the day there. * Petronas Tower - went up to the bridge and enjoyed the view; watched a short film about its history. 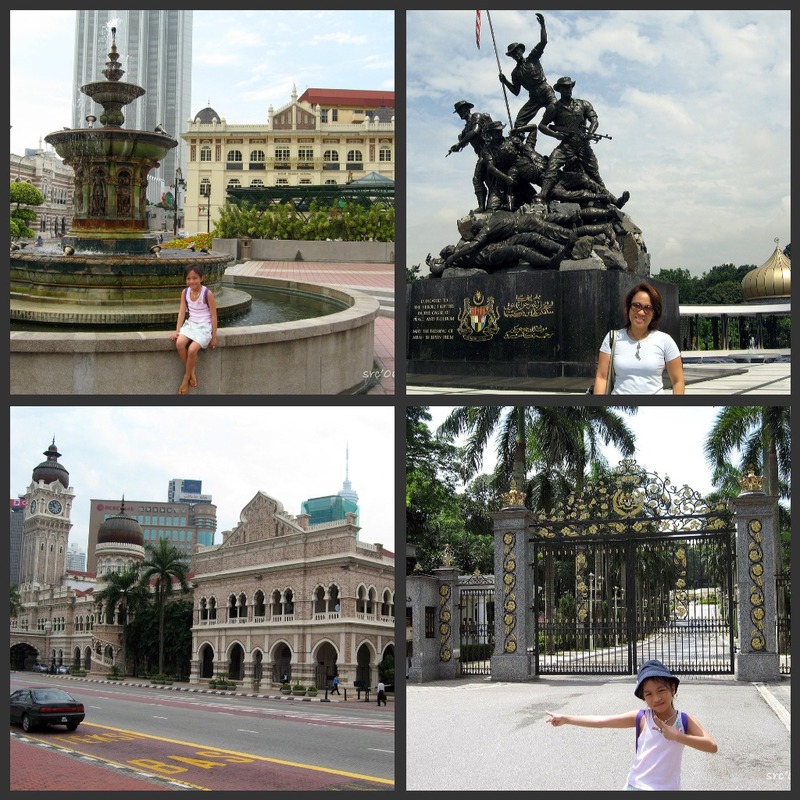 Short stops at Merdeka Square (Independence Square), Railway Station, Tugu Negara and Istana Negara. Spent the rest of the day at Sunway Lagoon where Gia had a grand time trying out the water slides. 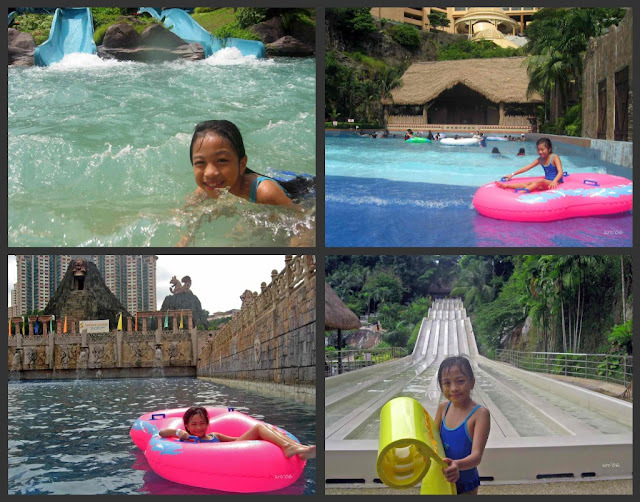 Bonding with Gia swimming around its different lagoons and trying out its many rides and attractions. This is where I rode a ship that swings 360degrees (sorry forgot the ride's name), I shouted for Mother Mary! Goodness! I was literally upside down when it intentionally stopped at 90 degrees---the ship's bottom was at the top. So go figure how I looked like! After Sunway, we requested to be dropped off at Suria KLCC to go to Aquaria KLCC-- which in my opinion is far better than Singapore's Underwater world. Why? I really don't know (I am sure they have almost the same species) but it impressed me more than Singapore's. Missed Petrosains twice to Gia's disappointment. It closes at 6pm! Day 3 (Nov 2) - After a trip to a pewter factory and a batik store, we proceeded to Batu Cave and then to Genting Highlands. 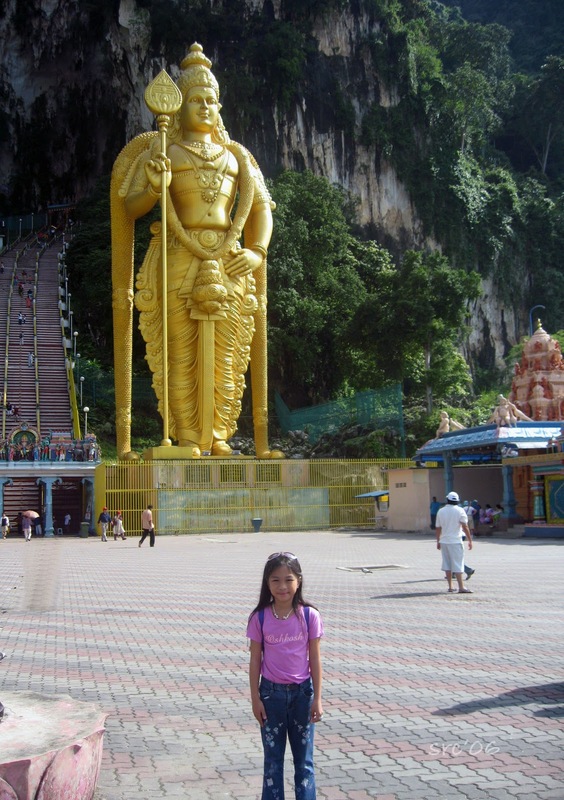 * Batu Cave - a towering limestone outcrop just 13 kilometres north of Kuala Lumpur that house numerous Hindu shrines and is a famous landmark in KL with it's towering statue. Ascend the 272 steps and marvel at the view from up there. Be careful of the aggressive monkeys though. They grab on anything unwary tourists may have in their possession. * Genting Highlands - Malaysia's "Las Vegas", a gaming and entertainment center 1,760m above sea level. 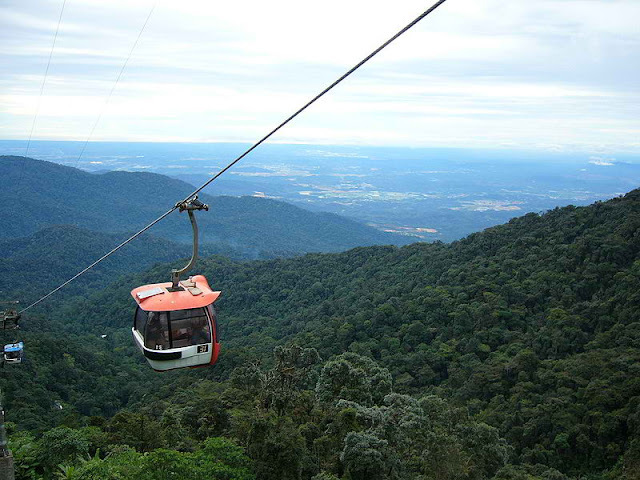 We took the SE Asia's longest cable car ride to the top. Marvel at your destination covered by clouds and just peeping between clouds once in a while, while you take the cable ride. Was astounded by how huge the hotels here are. One needs to get a number to queue for checking in! A total of 6,000 plus rooms for 6 hotels operated by Resorts World. Spent the whole day at the various theme attractions, savoring good food, the thrill of every ride, and the cool weather. Don't miss the following: Flying coaster ( a roller coaster but not sitting--yes, flying so go figure how you look like!) and the Skyventure (a free-fall skydiving simulator). After Genting, proceeded to KL's souvenir shop area (sorry forgot the name of the place and location). We took the MRT to go there. It was a 1-storey complex of rows upon rows of stalls selling souvenir items, for our last minute souvenir shopping. 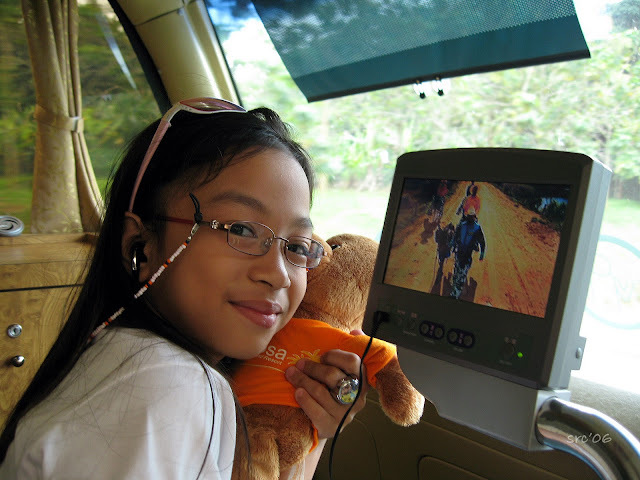 Day 4 (Nov 3) - Took the Air Asia flight to Clark. Impressed that there was a Philtranco bus waiting for us passengers to Manila. So after Immigration, customs and paying for the bus fare, we were on our way to Manila in a breeze. Not a bad experience at all considering we took budget airlines and took the Clark route. I personally think, this is a good and cheap alternative for those who wants to explore Asia and the world. Thank you :) Kuala Lumpur is like Metro Manila--the sight, the smell, the traffic. Of course except that they have the Petronas Tower and the KL Tower. Batu Cave is not included in our itinerary, but upon reading your post and seeing the photo of Batu Cave, I plan to go there, too.